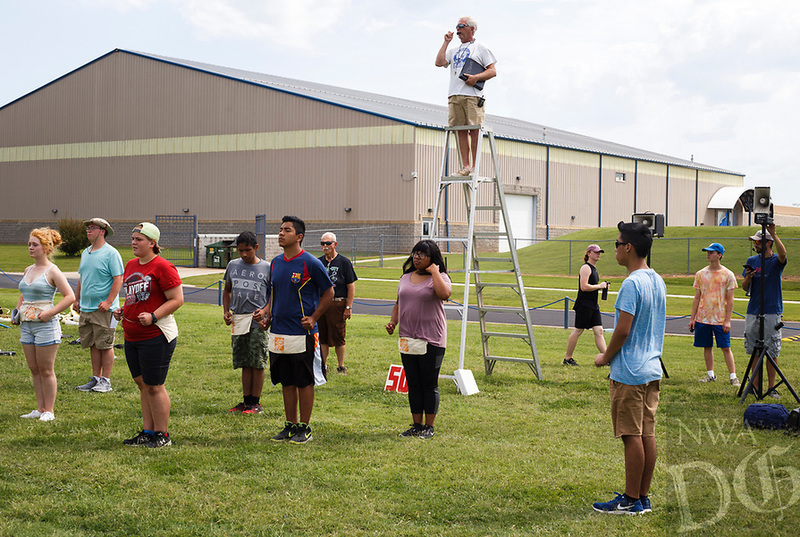 Bill Rowan (top center) directs his band during a band practice, Monday, August 6, 2018 at Rogers High School in Rogers. The students practiced drills for this year's halftime shows. All of their music this year will be from Russian classical composers including Tchaikovsky and Mussorgsky. The band will also participate in the Region Marching Assessment and the Heritage War Eagle marching competition in October.